Bloomington Winter Market – Dec. through Mar. December through March 9:00am – 12:30pm rain or shine! 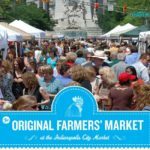 Visit us at the Indianapolis City Farmer’s Market every Wednesday, May through October, 9:30am – 1:30pm rain or shine! 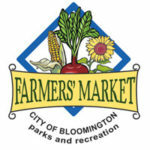 Bloomington Community Farmer’s Market – May through Sept.
Visit us at the Bloomington Community Farmers’ Market. Every Saturday, May through September, 8:00am – 1:00pm rain or shine! Visit us at the Carmel City Farmers Market. Every Saturday April through September 8:00am – 11:30am rain or shine! Join us at the Johnson County Fair – July 14 – 20, 2019! Join us at the Morgan County Fair, which runs from July 26 – August 3, 2018. 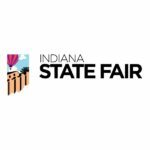 The Indiana State Fair returns to honor Youth, Agriculture and Education in an entertaining and fun environment. Join us to make more memories August 2 – 18, 2019! Bloomington Community Farmer’s Market – Oct. through Nov.
October through November 9:00am – 1:00pm rain or shine! 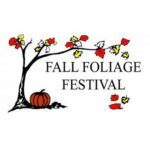 The Fall Foliage Festival will be held on October 10 – 13, 2019 at the Historic Downtown Square of Martinsville, Indiana.